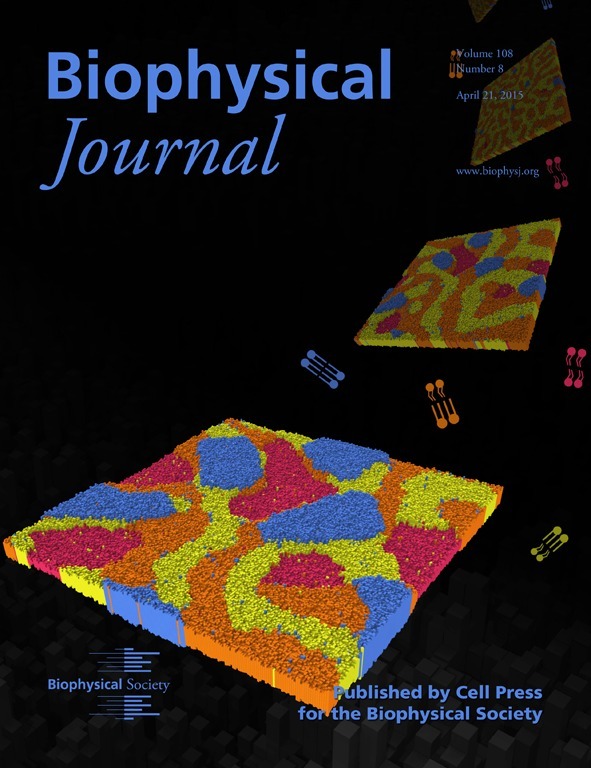 A couple of days ago, the April 21st 2015 issue of Biophysical Journal came out. My first paper with Peter Olmsted appears within and is featured on the cover! We studied the effects of inter-leaflet coupling in bilayers, and found fascinating kinetics driven by competing stable and metastable phase coexistences, involving registered (symmetric) and antiregistered lipid domains. I won’t go into more detail here, there is a blog post on the Biophysical Society Blog that tells you more.